Today starts a new challenge at Alicia Bel's challege blog! Check out my card for this challenge! Its about Birthdays and other celebrations! I chose this image! So much fun!! 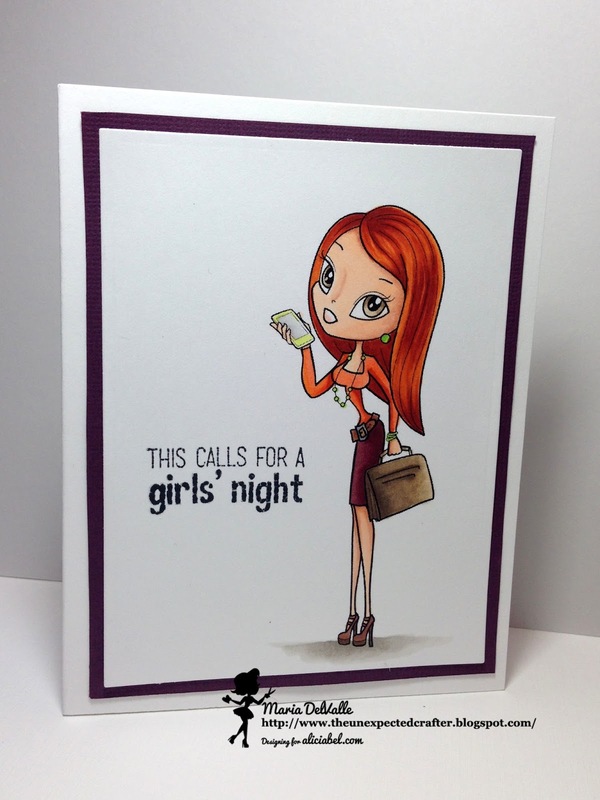 She is out to celebrate with friend just because she wants to and deserves a night out with the girls! woo-hoo!! I hope you like my card!! I hope you like it!! The sentiment is from Fiskars and dies used are from Spellbinders. 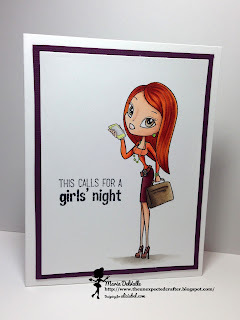 Come and visit Alicia Bel's challenge blog and enter for a chance to win!! She has freebies on her site and you can grab one and make a project!! I hope to see you there!! Keep getting crafty!